DIVINE CHRISTIAN GIFTS - Paper Booklet - How to Say the Rosary. 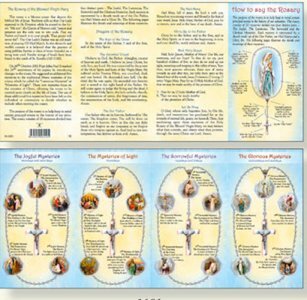 Paper Booklet - How to Say the Rosary. Concertina Paper booklet on how to say the rosary. Open Size: 13" x 6"